The swift moving time has brought back the palazzo pants gifting fashion lovers a style that gives comfort too with roomy space for legs. It’s almost 5 decades since Palazzos made their debut in the fashion streets. Though they had been into a hard time where survival was not so easy, the present generation is coronating it for the compelling look it incurs. Palazzos are free flowing, easy to wear and the most interesting part of them is they succumb to the order you deliver. If you stylize them by teaming up with chic wear they come out as party wear, extra addition of accessories take it to a street style and they are nothing short in crafting a professional look with right companions also. So here is a guide to bang on various looks with the use of palazzo pants. No doubt they are classy! But to uncover their real class soul, monochrome mantra works great. Team up a plain palazzo with same colour loose top and weigh some gold jewellery to it in addition or a simple lace top on it can ring the classic chime. And this is quite interesting as many of the girls take wearing palazzos to the work place as a fear factor. Get a neat, subtle blazer and add it over your tank top to turn palazzos professional. Even tucking in a button down shirt can create the professional look too. A graphic tee, a crop top or a tank top is all enough to make ready the grandeur street style with palazzos. A scarf on it, a layered chain with pendant and a lengthy bracelet all will do for the perfect street style time. Yeah for a lazy day also! Forget to care a lot, you just need palazzos and a basic tee. Finish! Leaning back to rolling on the bed, palazzos contribute the entire comfort you want in your lazy day. 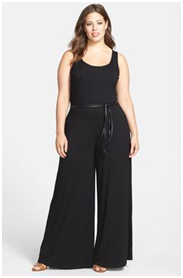 Add a bracelet and a floppy hat to your palazzo attire to route the look towards boho and no need to say it keeps you cozy during happy hours. Are you a person who don’t like to get wrapped up in tightly fitted clothes and wanna unleash all your way to get decked up in some loose duds, then bring your life a technique of wearing loose clothes in the name of ‘loose fitting style’. Made its debut decades back, this style boasts about getting fitted in unconstrained clothes without missing the-always-wanted trend and fashion. These easy to wear ensembles apart from waking up a new style, also help people with more weight look flattering as they have the power to cover all those corners of the body weighing fat. Right from tops to shirts, trousers to skirts, wearing baggy clothes always allows us to take a deep breath of being in comfort. Wear a flowy top and tuck your top in skinny jeans to get a chic look that you can wear it to a party or an office, try to team up a pair of palazzo pants with a tank top to look yourself as a fashion diva. If you are looking to draw a better experience from loose pants then pair up the look with a blazer, if it’s not about blazer you can also pick a tight fitted jacket. Alongside, add some accessories relying on the pants you wear to accentuate the overall look.